With an ever-changing economy, we all have made major changes in the way we live. More and more, we are seeing college graduates moving back home, elderly parents moving in with their children, and even distant family members merging households. When it comes to saving money, we all are making the necessary adjustments. 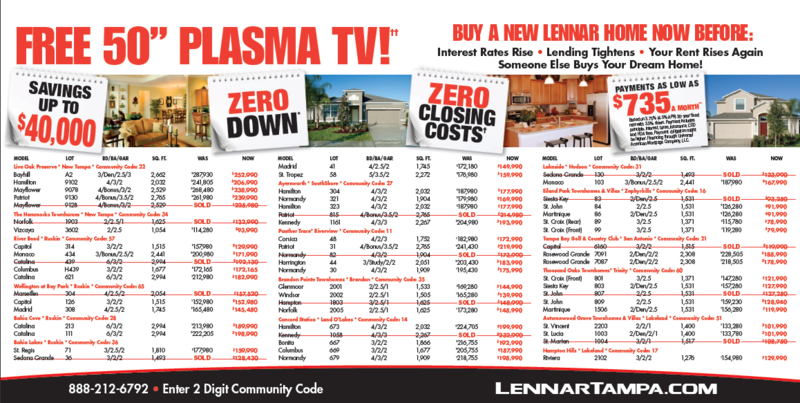 Here at Lennar, we recognize the changing times and want to do our best to address them. Unfortunately, these adjustments can make for a stressful and frustrating process. It’s nearly impossible for one family member not to be stepping on another’s toes at least sometimes – and that’s putting it lightly. We realize the issues that come with changes like these, and we haven’t missed a beat. That’s why Lennar created the ultimate solution – the Next Gen Home, or in layman’s terms, a home within a home. The main household functions just like any other while a simple doorway links the second home space. This “home within a home” is a completely private suite with its own bedroom that includes walk-in closets, full bathrooms, eat-in kitchenettes with nooks and plenty of living space. There’s a separate entrance to the added suite, so whoever might be living there can come and go as they please without disturbing the main house. Here’s the best part. 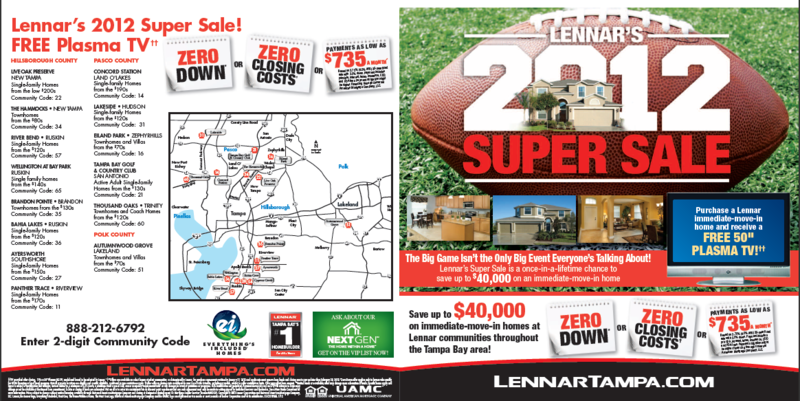 The Next Gen home is now available in Tampa and there are two spacious models to choose from. Imagine having mom close by while saving thousands on assisted living and child care costs because she’s there to watch the kids while you’re at work. 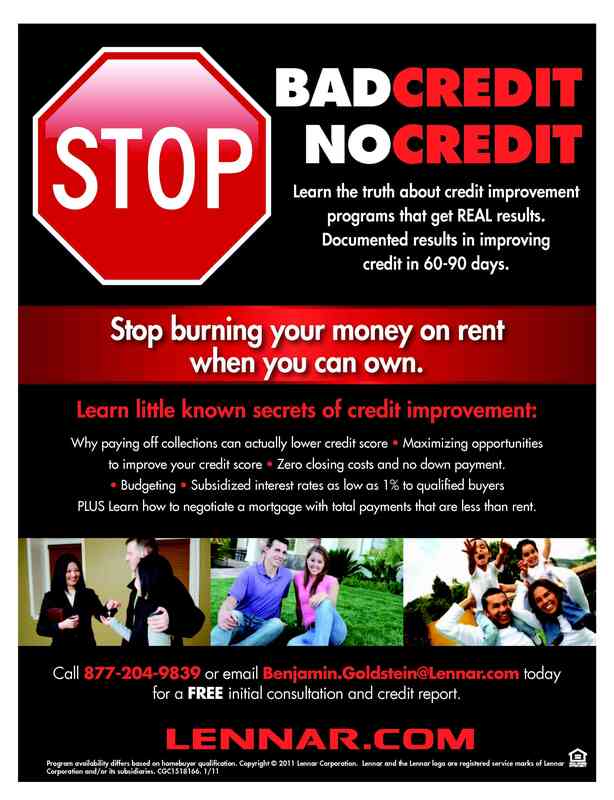 Welcome your child back after college so that they can save instead of paying for an apartment. 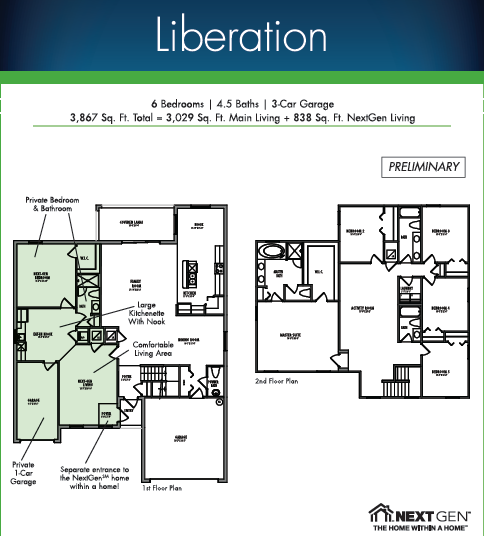 Have enough room for a family member to move in and contribute to the mortgage while your worries are eased. 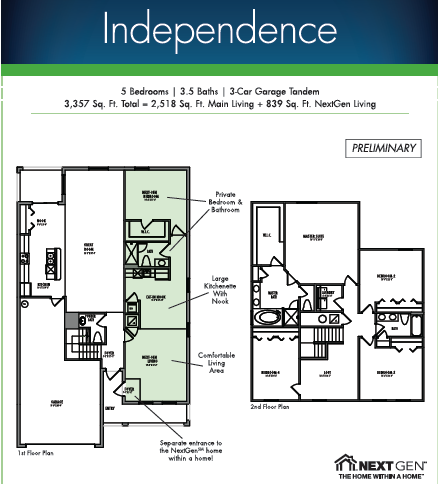 Your perfect home is waiting. Now it’s up to you to make the next move. Don’t forget, everything’s included! At Lennar, we take pride in treating our fans right. That’s why for the entire month of February, fans of the Lennar Tampa Facebook page can enter to win a $1,000 Visa gift card to spend on whatever they please. But we won’t stop there. For each friend you invite who likes our Facebook page and enters, you get one more chance to win. Pay off some debt: Whether you are still paying off the holidays, have some credit card debt or you’re still working on student loans, reducing debt is always a wise decision in the long run. Start or finish home renovations: Have you been meaning to retile the bathroom? Did you start redecorating the bedroom but ran out of the funds to finish? Maybe a $1,000 could give you the extra push you need. Go on vacation: Sometimes life happens. You can plan all you want to save back some cash for your vacation fund, but there always seems to be an unexpected expense that gets in your way. Maybe $1,000 can help. Get the upgrade you need: Are you stuck with a computer circa 1998? Is your TV taking up more room than your love seat? Winning $1,000 means an upgrade is within reach. Make a charitable donation: Many charities now have ways to donate online. A Visa gift card works just like any other online credit or debit purchase. Helping others in need is a reward in and of itself. The possibilities are endless. To all the loyal followers of Lennar Tampa, we have just one question for you. What would you do with $1,000?